1. Apply sparingly with tufted wool compounding pad on a circular buffer (1600-2000 rpm). 2. Polish until oxidation & residue disappear, about 60 seconds. 3. Repeat until desired surface is achieved. 4. 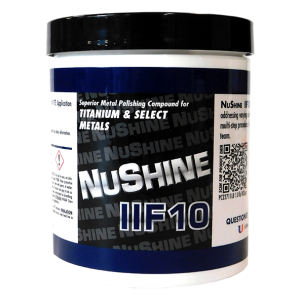 Follow with NUSHINE IIC with circular buffer and tufted wool pad. 5. Final finish with NUSHINE IIS.